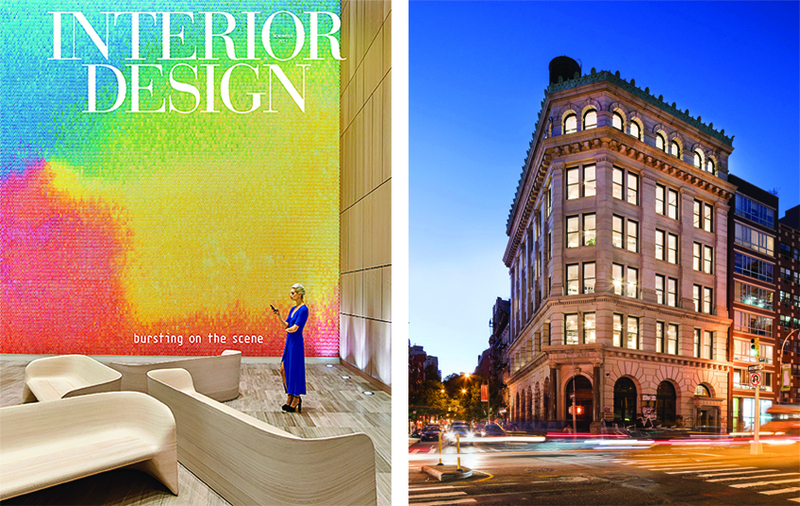 We are pleased to have our latest office design, the Great Bowery Offices, featured in the November issue of Interior Design Magazine. “MATEI Renovates NYC’S Historic Germania Bank Building”. We are excited to be nearing completion with the construction at Frolic, a one-of-a-kind educational center for kids where dogs are at the centerpiece of education and learning. Our design allows for maximum spatial flexibility via a series of moving walls and partitions. Depending on the configuration needed, the space can easily transform from one grand performance space into up to 3 distinct classrooms. 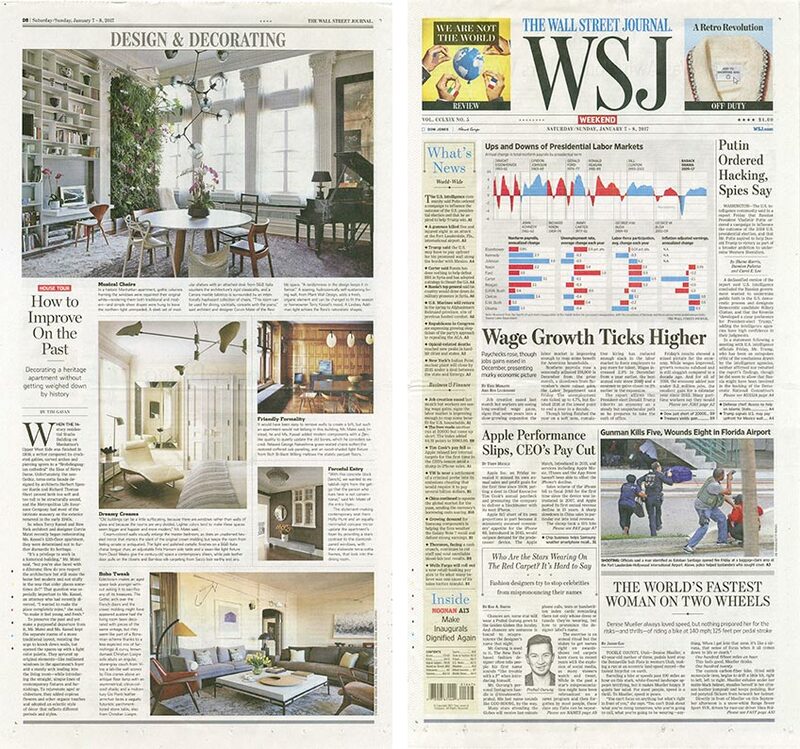 Upper West Side Residence in the Wall Street Journal. How Décor Can Improve on the Architectural Past. We are pleased to have this article come out in the January 07 issue of the Wall Street Journal. “How Decor can improve on the Architectural Past”. The conversion of this iconic bank, then private home, into a modern 21st century office repurposed many details of the old building without dismantling its history; the space- only altered to incorporate modern day amenities- were executed in a contrasting material palette. A new five story urban-scaled bookshelf behind the existing neo classical renaissance façade becomes a functional and organizational heart for the office, while at the same time, it doubles as a conceptual construct, revealing to the casual passer-by the repurposed use of the building. 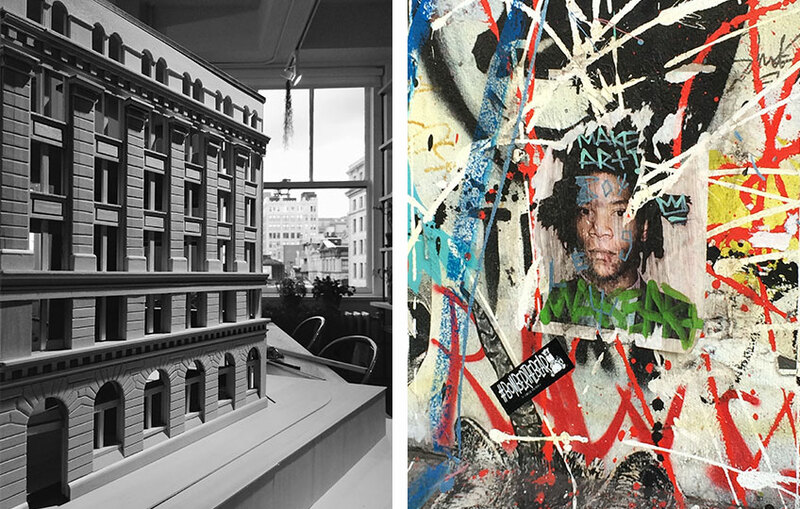 Great Bowery is an agency and leader in the fashion and luxury image-making industry, and now occupies all 5 floors above the street level. We are pleased to celebrate the opening of this first re-imagined store. Philosophy is one of the leading brands for skincare products, with a distinctly humble and holistic approach to “celebrating the beauty of the human spirit”. The store, located in the Westfield Garden State Plaza, stays true to the values that have brought the brand’s success – be natural, be comfortable, and be inspiring. 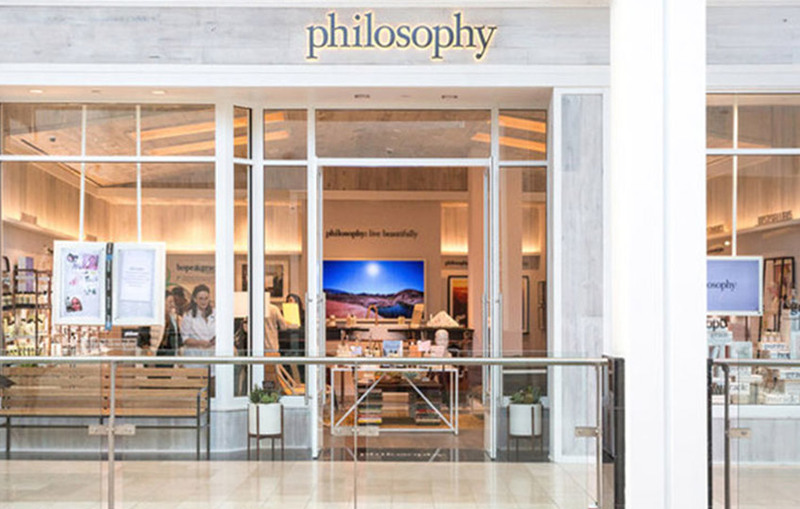 From the Philosopher’s bench just outside the storefront- meant to invite those to reflect, relax, or gather- to the simple use Arizona influenced materials that pay homage to the brand’s origins, Philosophy’s newest location hopes to re-connect the shopper to the brand’s ethos. “Philosophy Launches Its First WellBeing Beauty Store”. On the boards is a ground-up guesthouse due to be completed in the fall of 2017. 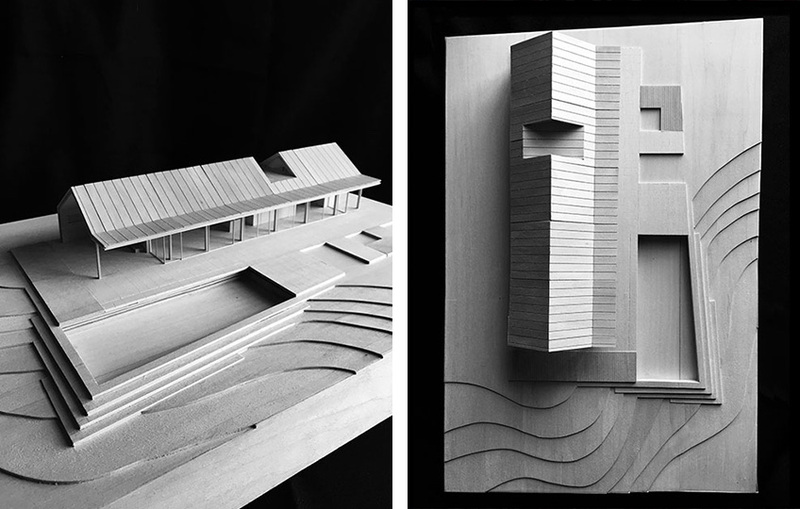 The building’s form and massing is derived from the ‘ranch house’ style common to the area, while the interior offers a re-interpreted open layout, organized around a central box which accommodates all necessary residential functions. The ample floor to ceiling glass windows and doors allow the users to be directly connecting to the 3 main elements that constitute the surrounding landscape: earth (garden), water (pool), and sky (the big Dallas sky).